There are different types of can crushers by their usage, looks, size, placement and also manufacturing material. As can crusher consists of multiple parts like crushing mechanism, leveler, hinges, grip, pins and others, each of these parts can be made from various types of materials. 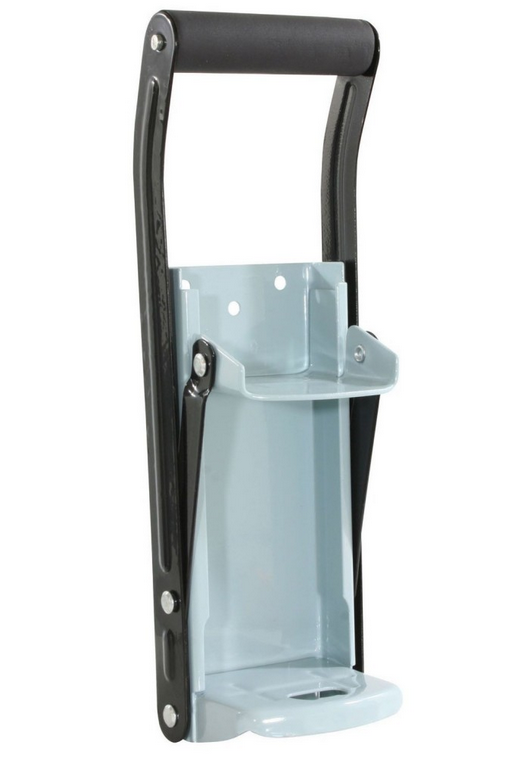 For example, the most common materials for can crusher body are steel and plastic, while hinges and pins are usually made from metal and the grip of the handle can be made from plastic, which is softened with sponge padding. In this article you will find all the most common manufacturing materials of can crushers, in which parts they are used and how these materials compare to one another. 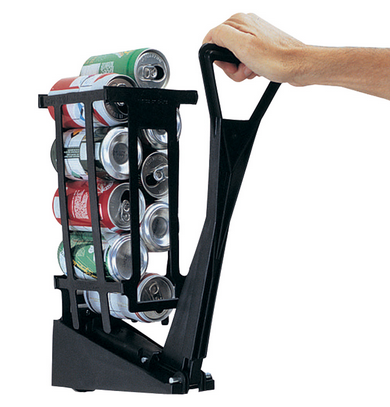 The most popular material you will find in practically any can crusher is steel. Because of many advantages of the stainless steel material it is between the most popular materials used in different tools, including many kitchen tools such as stainless steel knifes and can crushers. Stainless steel provides additional strength and durability to the products, as well as corrosion resistance. Stainless steel tools also tend to have long lifetime even when exposed to heavy usage for longer period of time. All these characteristics of a stainless steel make it a perfect material for can crushers. Stainless steel is mostly used for industrial can crushers, as they need to withstand a heavy usage for continuous period. However, because of the relatively low price of steel in recent years, there are a lot of smaller stainless steel can crushers for household usage. These can crushers provide durability and reliability of stainless steel, while keeping the price practically the same as plastic can crushers. The most common parts of an aluminum can crusher that are manufactured from stainless steel are hinges, bolts and pins, which all make together the crushing mechanism. As these parts need to withstand the highest load in compression process, they need to be as durable as possible and plastic, aluminum or other materials simply cannot provide the same level of durability as steel. This is why can crushers made from mixed type of materials are becoming more popular. There are many can crushers that have body and other non-movable parts made from plastic and movable parts such as hinges or bracing parts such as different bolts and pins made from steel. You will also find can crushers with 100% stainless steel parts. 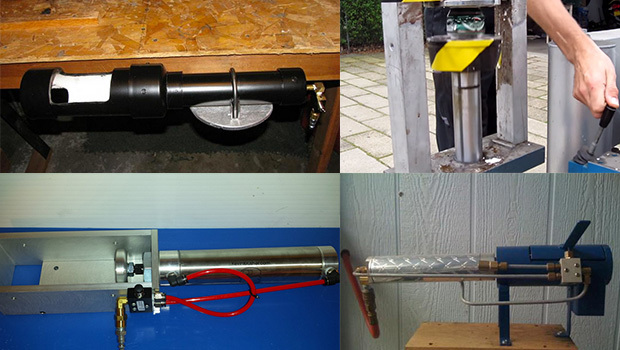 For these can crushers all parts – body, leveler, hinges, pin, can collector and other are made from steel. You can easily differentiate 100% steel crusher from other crushers because all of its parts look the same, usually in metallic silver color. These can crushers are durable and reliable and most of them will also provide good lifespan. 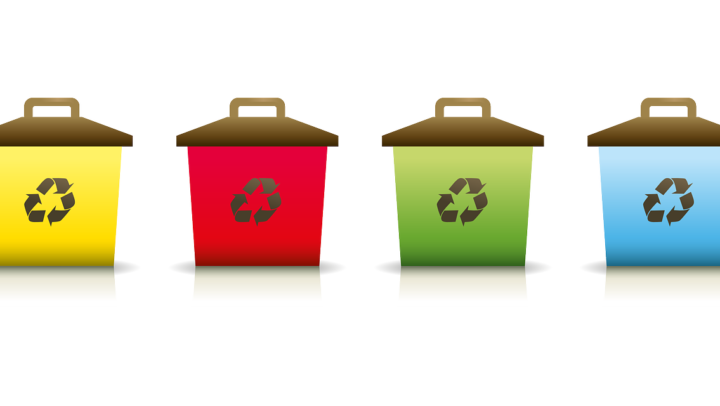 Besides stainless steel there is another very popular material used to manufacture can crushers – plastic. 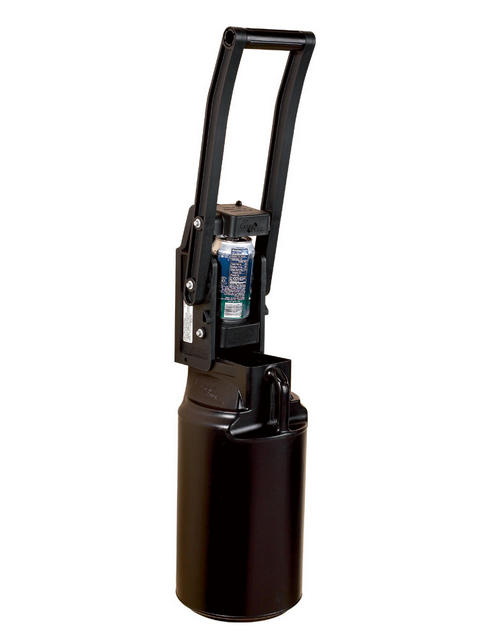 In can crusher manufacturing different plastic blends are used. 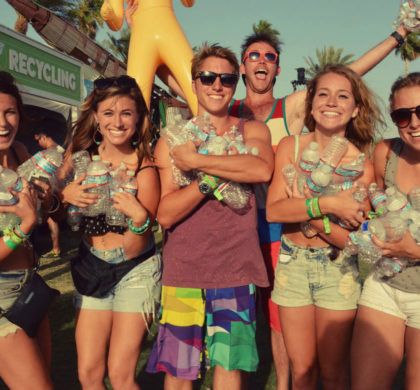 The most common plastic type used for can crusher production is nylon. 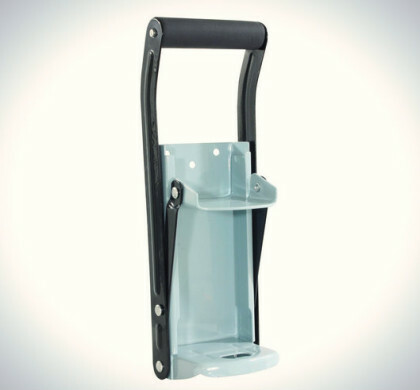 Some may think that plastic is a fragile material that can be easily bent and is not suited for tools made for aluminum compression such as a can crusher. But in reality, these plastic blends have much higher durability than a can crusher would ever need and will compress 12 to 32 oz. cans without any difficulty. Although nylon is not as close as durable or strong material as stainless steel, it still has its advantages. For example, can crushers made from nylon will not start to corrode (if there are no metal parts), so they can be used outdoors all year around. These crushers often have more appealing designs. For example, steel crushers usually have metallic silver color, while crushers made from plastic nylon have dark, matte color, which will better suit different interiors. In opposite to stainless steel crushers, which are often made fully from steel, plastic can crushers almost never come with 100% plastic parts, as plastic is not the best material for movable parts. Nylon can crushers usually have plastic body and leveler, but crushing mechanism, hinges and bolts are made from some sort of metal, which mostly is stainless steel or aluminum. This ensures that the crushing mechanism is able to withstand continuous usage and can provide long lifetime of the product. If comparing the price range of steel and plastic crushers, there is not much of a difference. 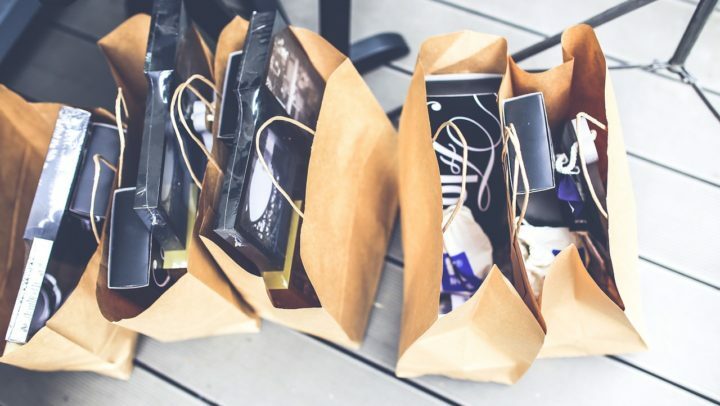 It more depends on the overall quality of the product, as well as the brand that makes or sells the product rather than the manufacturing material. Most high end crushers will have high quality stainless steel or plastic blend and stainless steel mixture parts. Cheaper, low end crushers will have much less durable steel frames and parts, or plastic bodies with the same, cheap steel hinges and bolts. 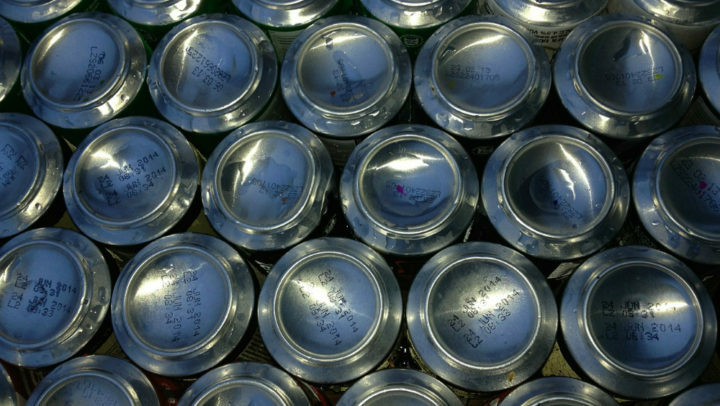 Aluminum is much less common material used in can crusher parts as steel or nylon. Compared to steel, aluminum is much more fragile and can bend more easily, which does not make it a much useful material for can crushers. You will find aluminum mostly used in some parts of the can crusher, such as different pins or bolts in plastic can crushers that are responsible for holding together the entire unit. In some can crushers you will find that nylon is combined with a high strength glass fiber, which gives the tool much higher durability and longer lifetime. This technology can mostly be found in high-end can crushers made from nylon and combined with other materials such as stainless steel, aluminum and glass fiber to enhance the durability of the tool. The characteristics of a wooden material are much less suitable for such a tool as can crusher than those of steel or nylon. There is not much of a difference whether you buy a 100% stainless steel crusher, plastic nylon can crusher, a crusher with mixed manufacturing materials from steel to plastic, aluminum and even fiberglass. What you need to look at is the overall quality and durability of the crusher as well as the popularity and reliability of the manufacturer, which is producing the crusher. There are some great quality plastic crushers as there are some poor quality steel crushers in the market and opposite. Think about how much you will need to use the crusher, where you will be using it (indoor or outdoor), what type of cans you want to crush, is the design of the crusher important to you and also, how much money you want to spend for the tool. 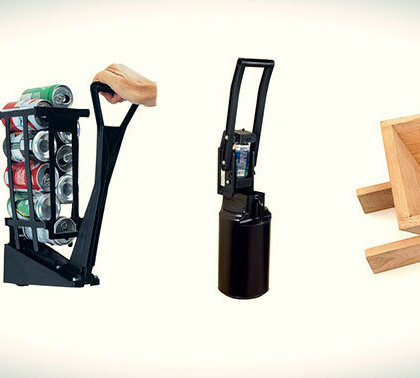 Based on your needs, you can search for a can crusher that is best suited for your occasion. 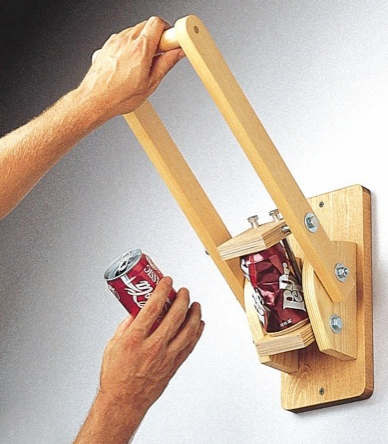 Who knows, maybe the best solution for you is to make a handmade wooden can crusher that automatically crushes empty aluminum cans? You can buy these products on Amazon. 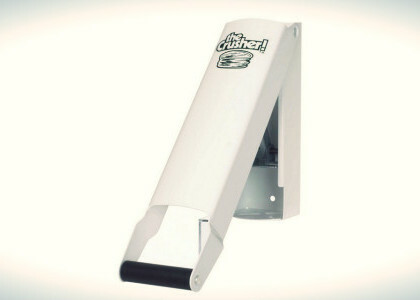 As for the price, it differs, but generally, you can get a great crusher as cheap as 10 dollars.